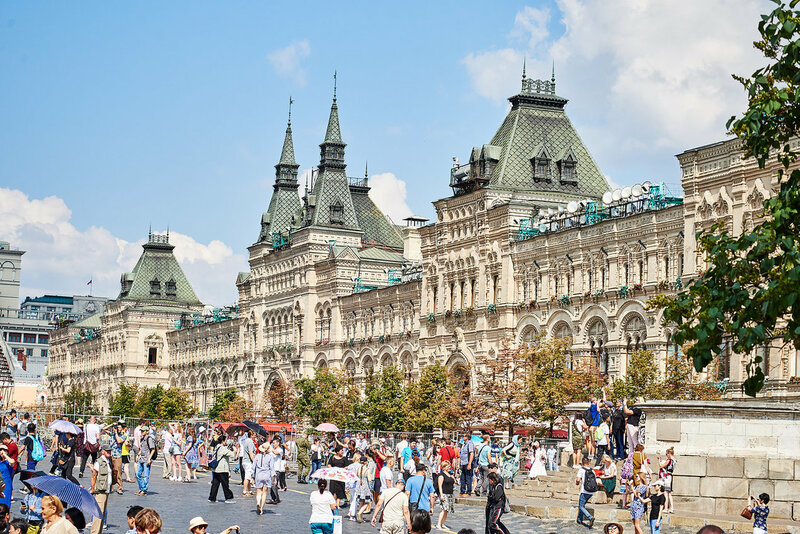 Join our unforgettable 10-day bike tour of Russia. 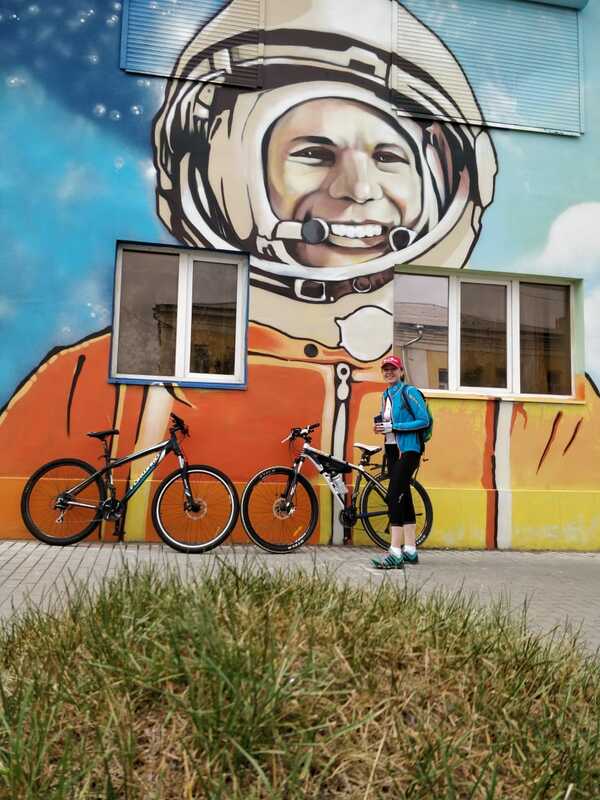 We invite you to take a once in a lifetime trip along one of the most interesting parts of the First National cycle route of Russia. The cycling route will be around 260 kilometers, excluding transfers. Professional English-speaking sports leaders, van and technical support car will accompany the cycling group. 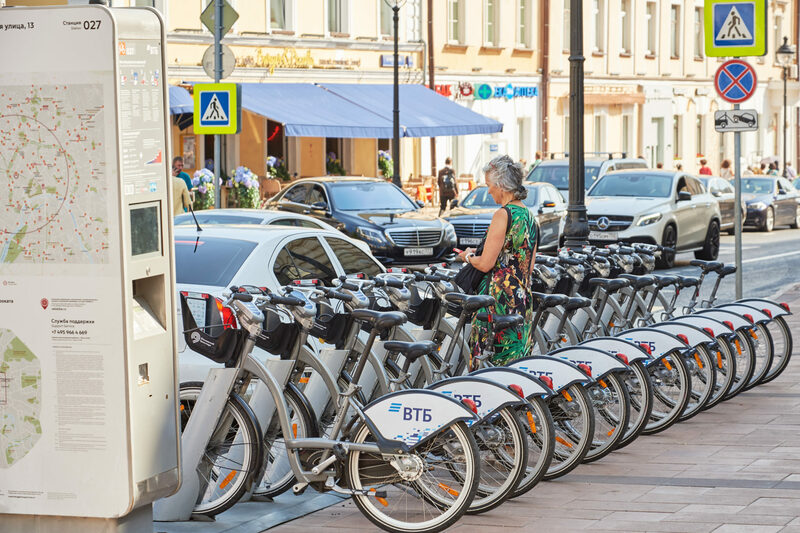 The bike route starts in the small and enjoyable town of Tver. 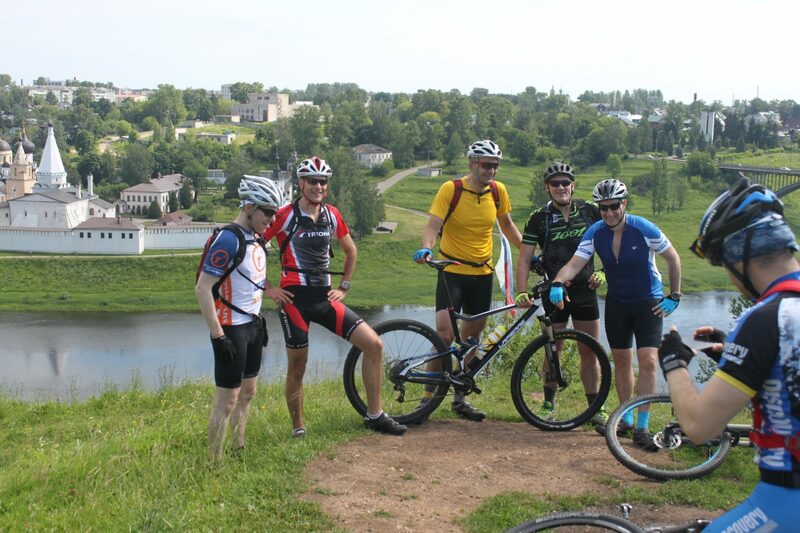 On your way, you will ride next to the Volga river, pass small and ancient towns, meet with the locals, visit old monasteries and museums, take several master classes, have fun, and rest peacefully on the bank of the Volga. 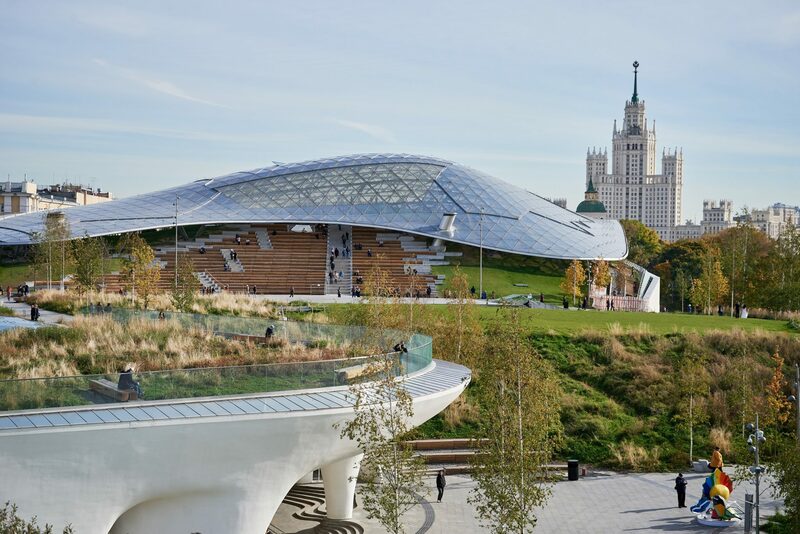 As you travel, you enjoy a delightful culinary experience that offers the best of savory, rich Russian dishes: Blini pancakes, Pelmeni dumplings, Coulibiac fish loafs, Golubtsy cooked cabbage leaves, tasty Guriev porridge, Kasha porridge – so widely eaten all across Russia, and the ever-popular Tvorog farmer’s cheese, wonderfully blended with cream, butter, sugar and vanilla. You will be met, greeted and escorted to your centrally located hotel. After check in you may explore the neighborhood and relax. 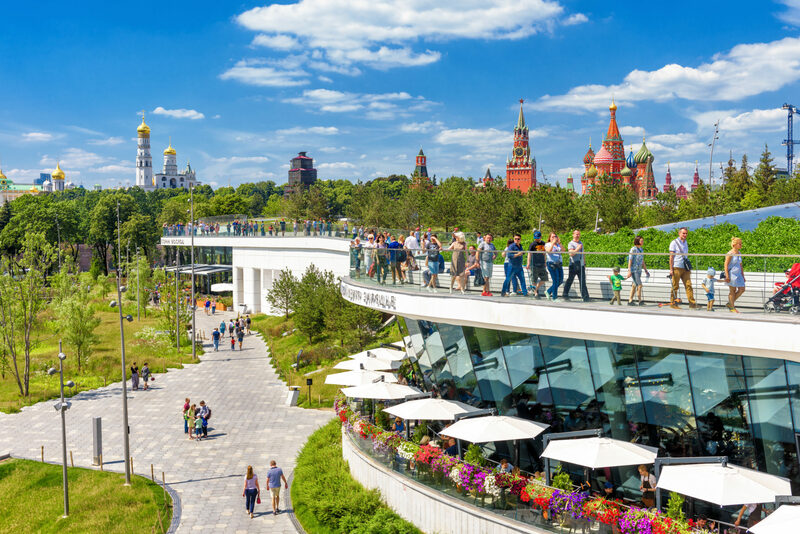 Today discover the wondrous capital of Russia. 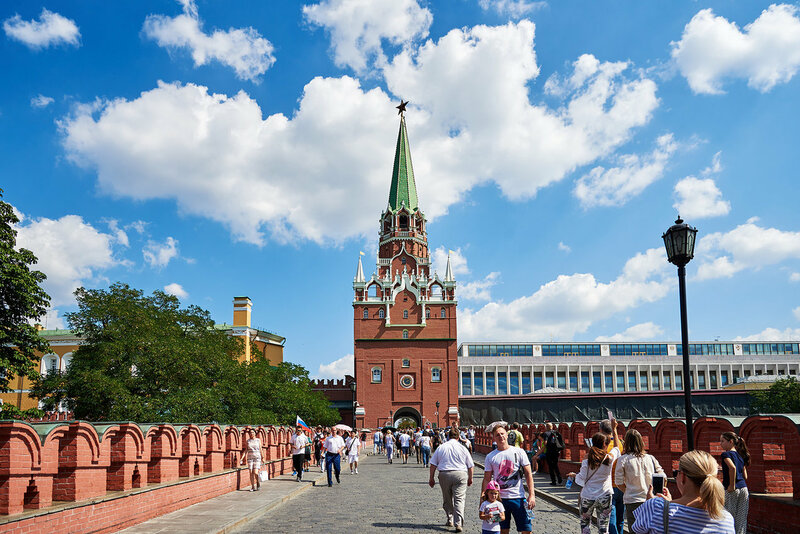 Step into Red Square, and view world-famous landmarks which include St. Basil’s Cathedral, the Kremlin walls, GUM department store, the State Historical Museum, and Lenin’s mausoleum. 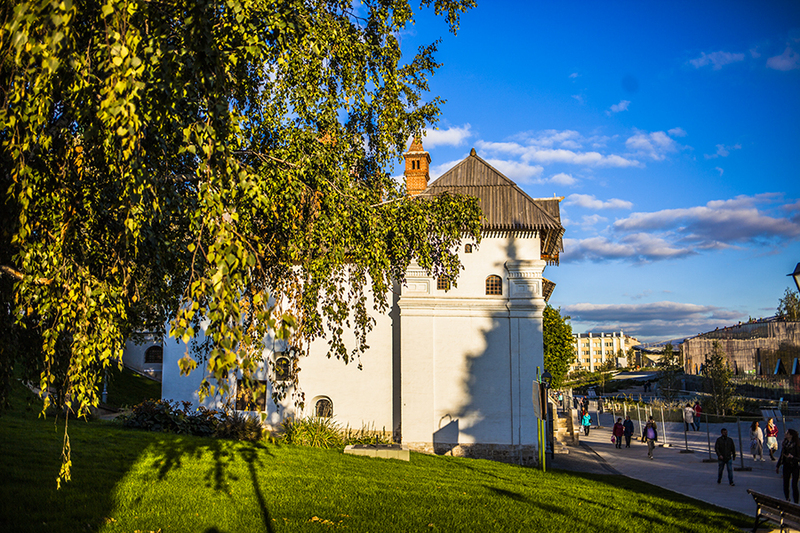 Enter the Kremlin walls to explore the country’s past and present. 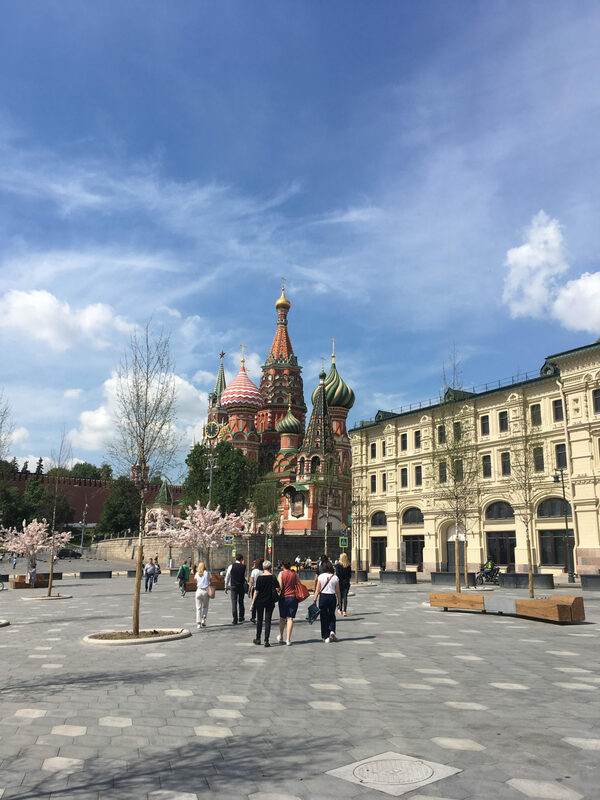 You will be astonished as you visit the Christ the Savior Cathedral, a church with a controversial history, and the site of the world premiere of the 1812 Overture by Tchaikovsky. 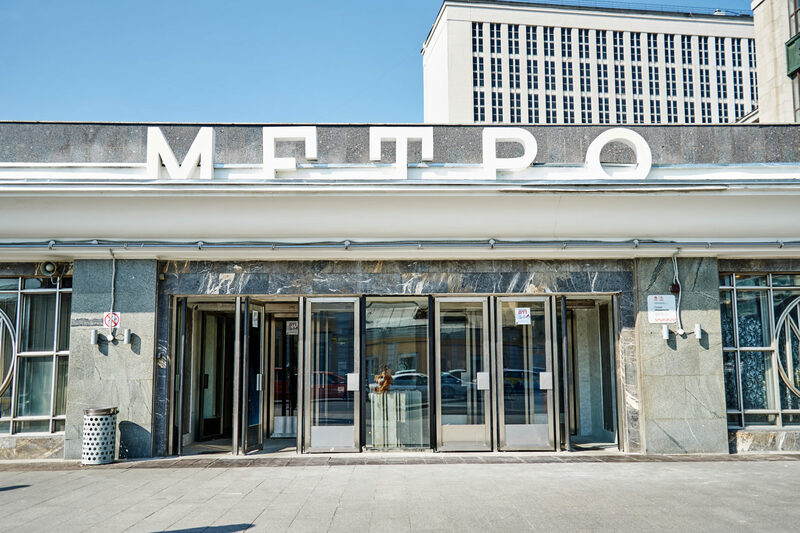 On the way back to the hotel, take a Metro ride with your guide and stop to explore the grandeur of its most impressive stations, which are far beyond subway stops – they are magnificent architectural displays. 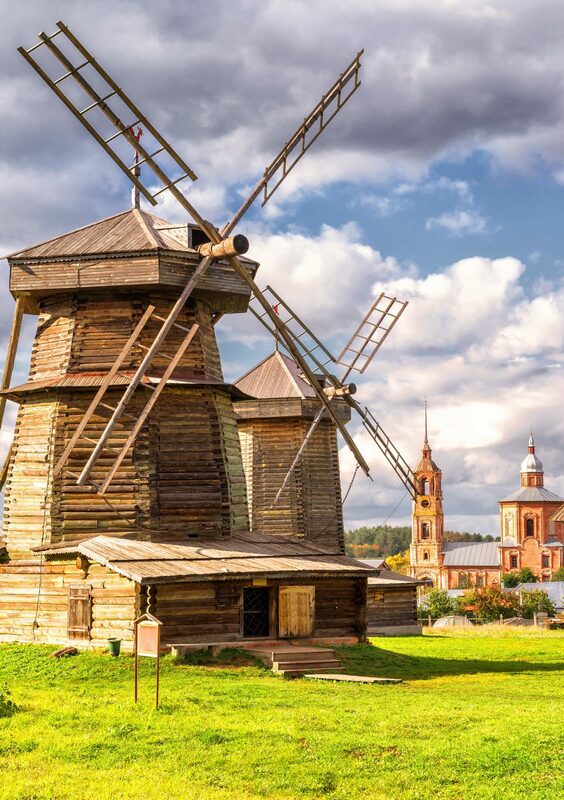 This morning after check out you will be transferred to Tver, an old Russian town on the Volga river. Upon arrival check in to your hotel and enjoy a traditional lunch. Later explore the old town, and take a leisurely stroll along the embankment of the Volga River. In the afternoon you will learn how to cook the traditional Russian favorite Pelmeni – dumplings – and have dinner. 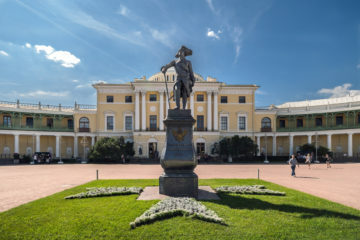 In the evening you may visit the central street of Tver and shop for souvenirs as you wander among the rows of trading stalls, talk to the locals, and embrace the spirit of provincial Russia. 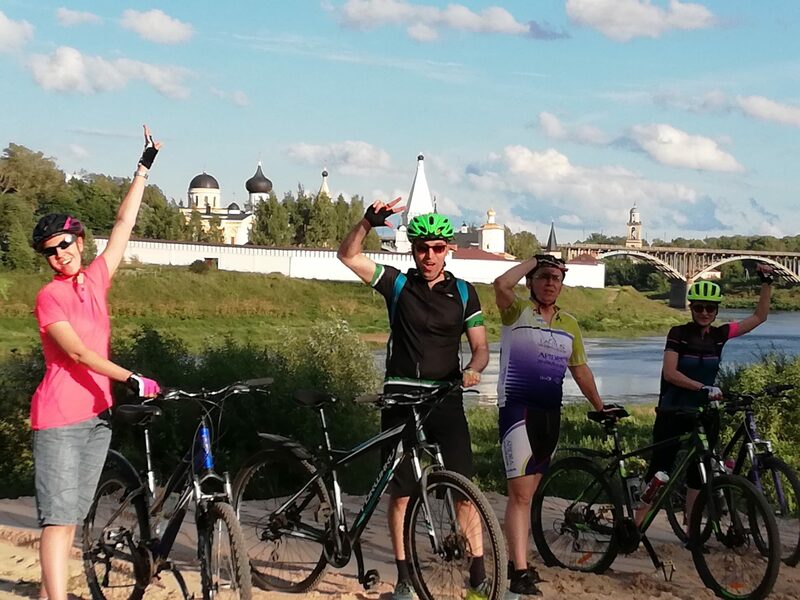 After breakfast at the hotel, you will start your bicycle tour by passing through the historical part of Tver, and along the Volga river. Cross the bridge, which was built at the very end of the 19th century. You may be reminded of the similar bridge in the Bavarian town of Laufen an der Salzach. 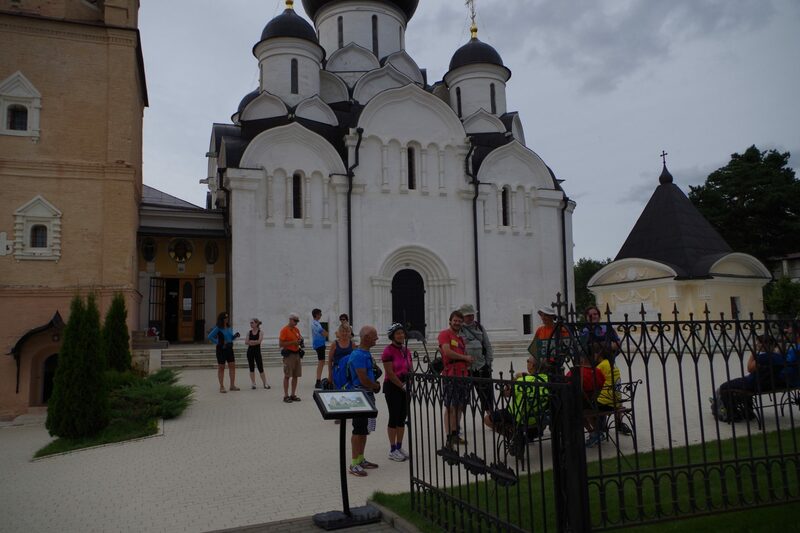 Continue along gravel and sandy roads, through pine woods, along the great Volga River, to reach the walls of Orsha Convent, which dates back to the Tsar Ivan the Terrible. 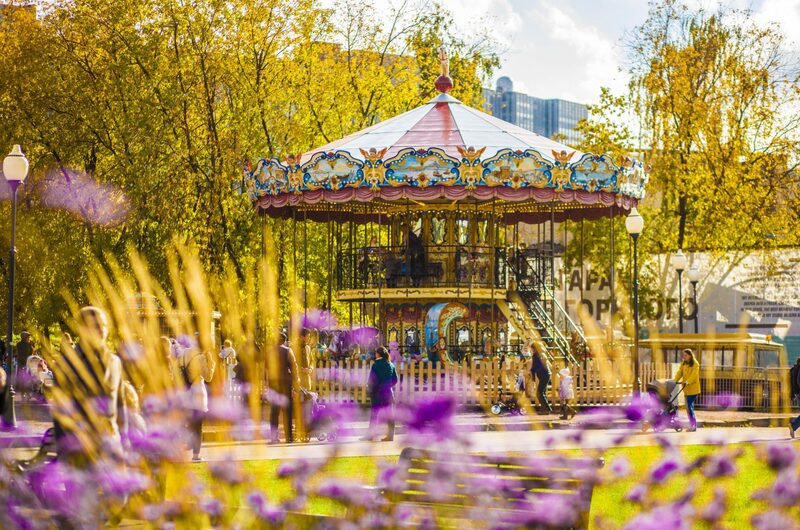 Have a relaxing picnic lunch as you listen to gentle bubbling sounds of the river. After lunch, continue through the pine forest to Savvatievo. 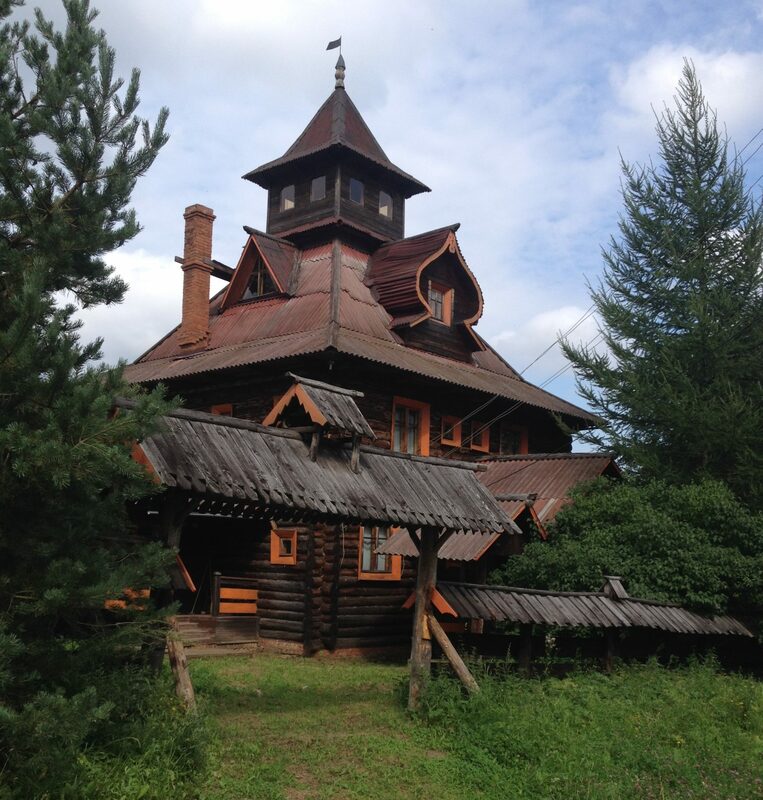 Our van/bus will pick you up and transfer you to the Park Hotel located in the Yurievskoye Village. Today’s route leads you through tranquil pine forests and quiet old settlements, mostly on well- maintained gravel and sandy roads. In the village of Edimonovo the river Volga is affluent, wide, and slow moving. Enjoy the scenery – unite with nature. After a break and a swim in the clear river waters you will transfer to the pier, where you will take a ferry and cross the Volga River to reach the town of Konakovo. Later on, you arrive in Dubna, called the City of Science, because it is the location of the Joint Institute for Nuclear Research. 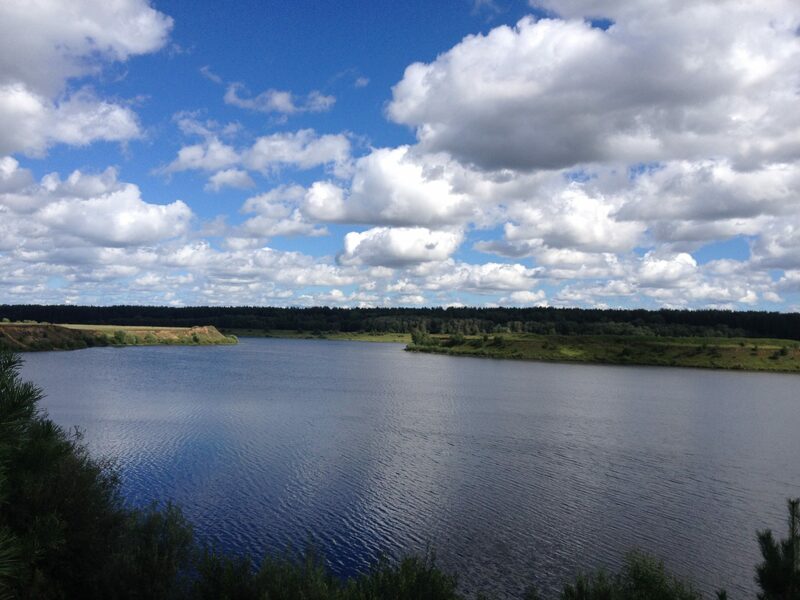 In the evening, if the weather is good, you may swim in the Volga River, and enjoy a walking tour in Dubna. Today you’ll have a very exciting and eventful day! 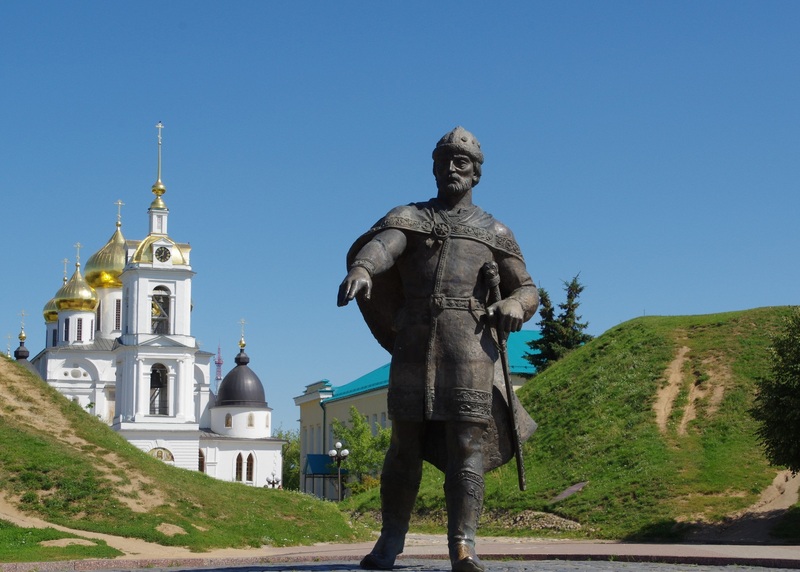 After breakfast take a short tour of Dubna, to find out the history of the town. 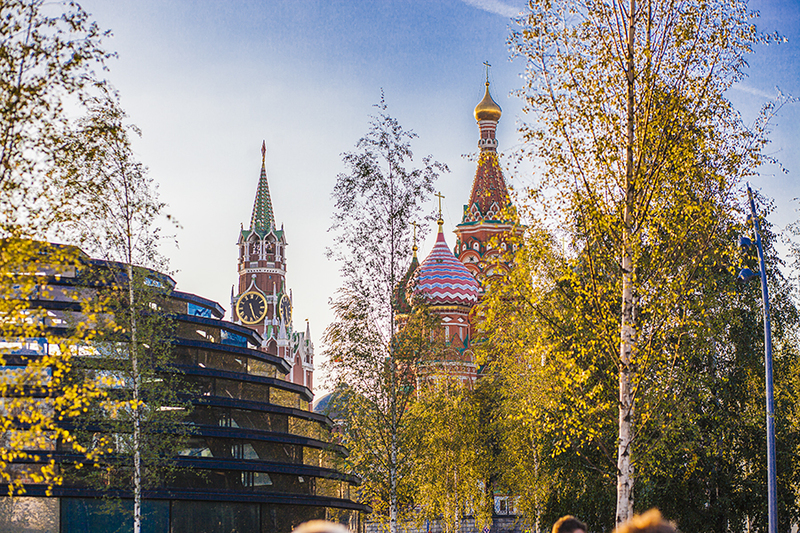 You’ll learn about the construction of Moscow Canal, which was built in just five years during the 1930s, and constructed by hundreds of thousands of Gulag prisoners, many of whom died during the construction. As you walk along the spit of the river you will have a wonderful photo opportunity – capture the beautiful lighthouse and the giant monument of Lenin. Next ride along the canal, through peaceful woods, past farm fields, and pass through authentic settlements and villages, until you reach the ancient village of Verbilki. Visit the museum of porcelain, to honor the porcelain factory founded by the Englishman Franc Gardner in 1765. In the evening you will arrive at the ancient town of Dmitrov. Check in to the hotel. In the evening, take a walk through the historical part of the town. 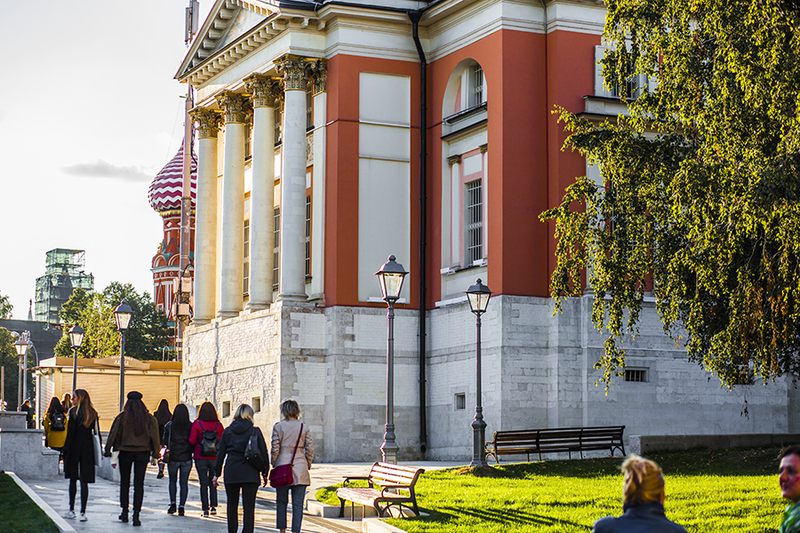 After breakfast, visit the Dmitrov Kremlin and WWII exhibition. 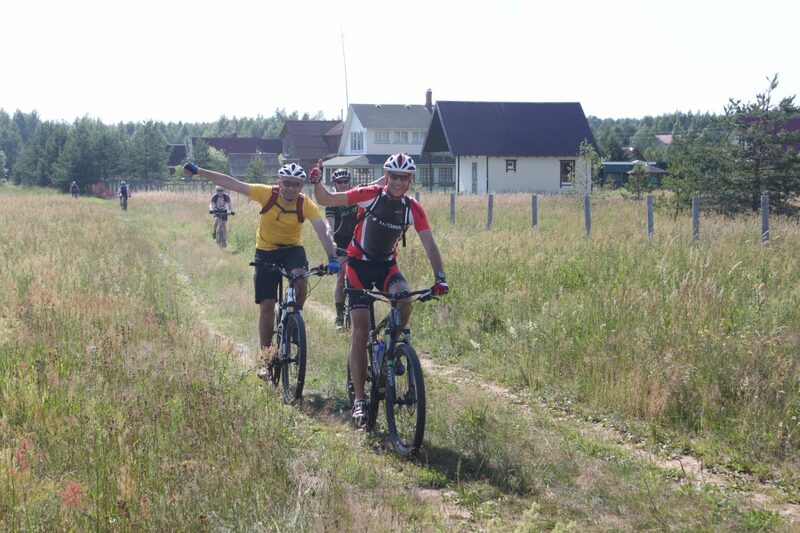 Then ride to the highest part of the Klin-Dmitrovsky ridge, where it is crossed by the fast flowing Velya River. If you are an extreme lover of adventure, wade in the river – it can be an unforgettable moment! 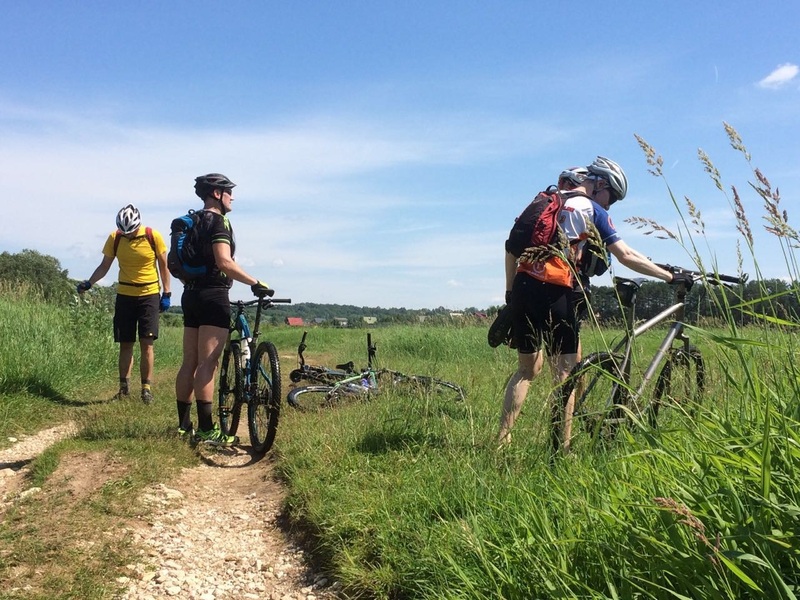 Ride on a tarmac road, then on smooth gravel and rocky roads, to reach Svyatogorovo village. Examine the quaint rural wooden houses, and dine with their hospitable hosts. 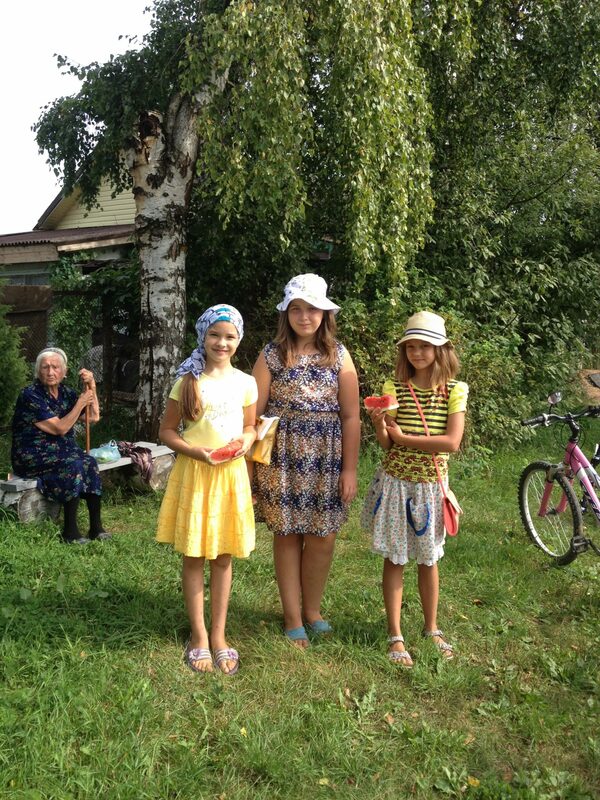 You will be served Russian dishes cooked by your hosts, from products grown on their own farm. 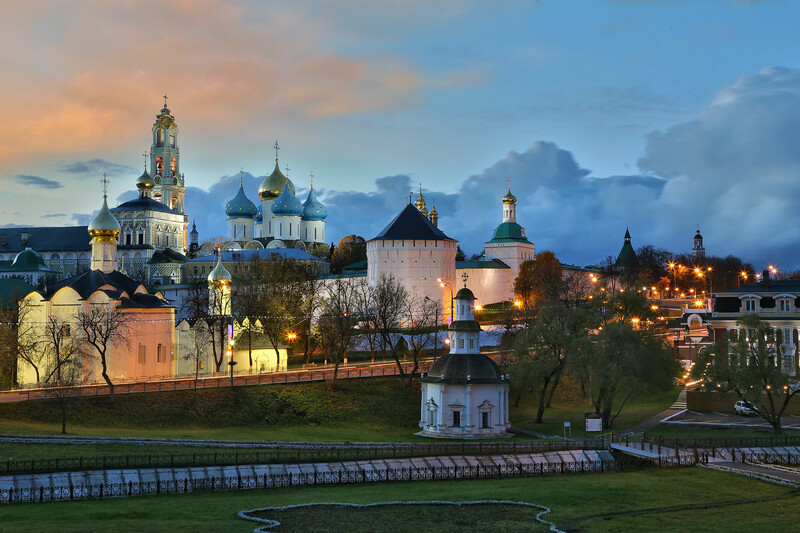 After that, you will be transferred to Sergiev Posad – one of so-called Golden Ring towns of Russia. 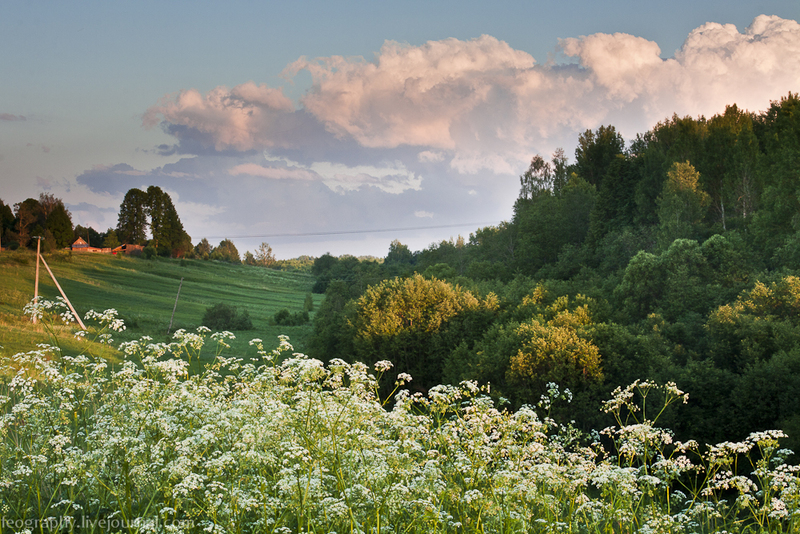 This area is called the “Russian Switzerland” because of its distinctively high and green hills. Sergiev Posad and The Trinity Monastery of St. Sergius architectural ensemble became a UNESCO World Heritage Site in 1993. 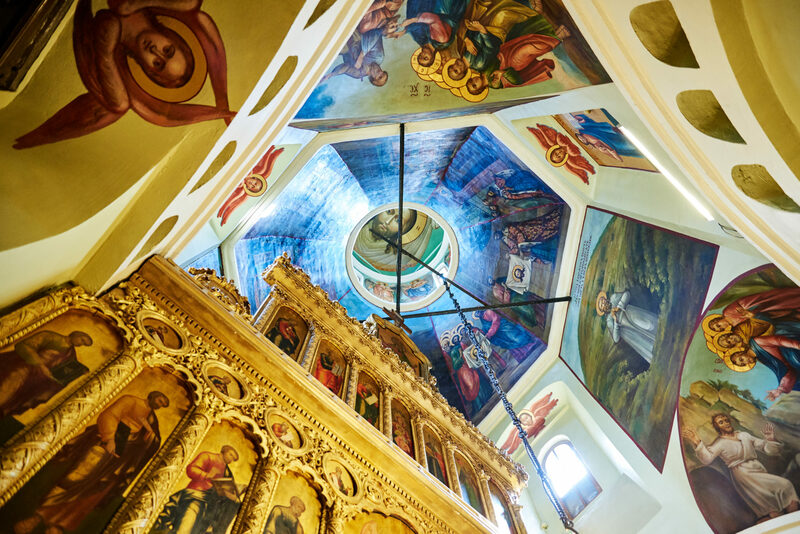 The Monastery has been a place of holy pilgrimage for Russian people since its foundation in the 14th century. 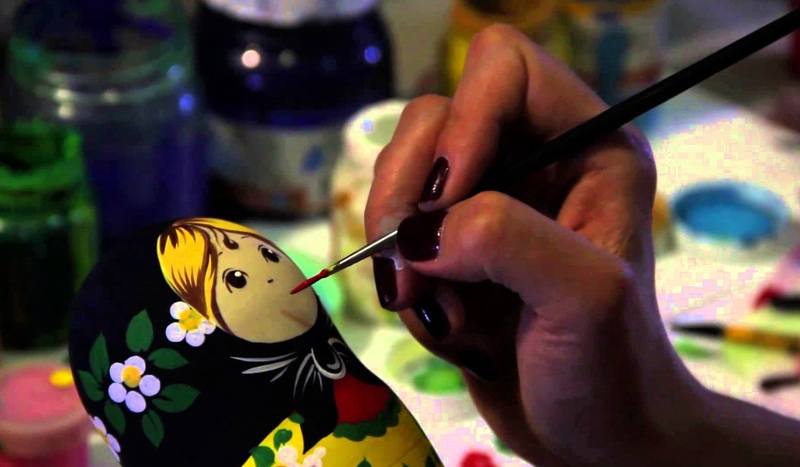 In the evening take part in the master class to paint Russian Matryoshka dolls. You will bring home vivid memories, and be reminded of them every time you look at your handmade souvenir. Today you’ll have the final and the longest section of cycling. In the morning you will be transferred to a small provincial town – Kirzhatch. You will ride along the picturesque riverbed of the Kirzhatch River. 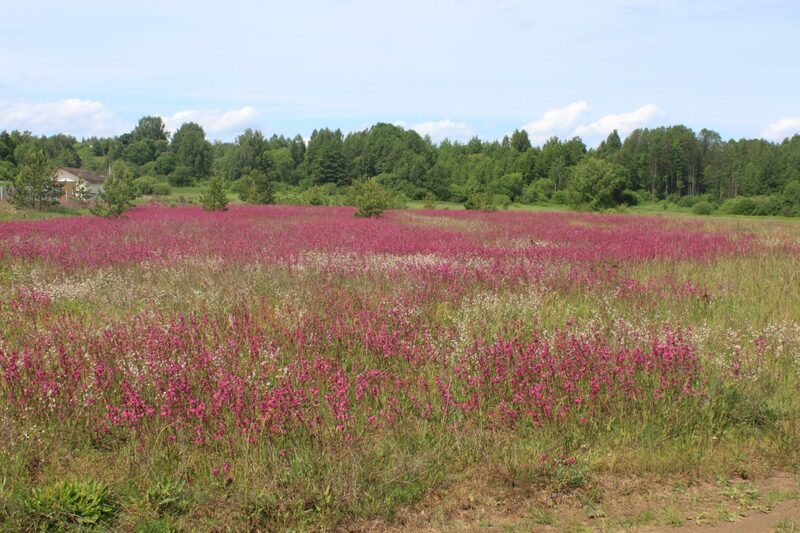 You can admire the gorgeous fields full of meadow flowers, and cycle through fragrant pine forests. You will have a picnic lunch near the beautiful Telvjakovsky Lake. 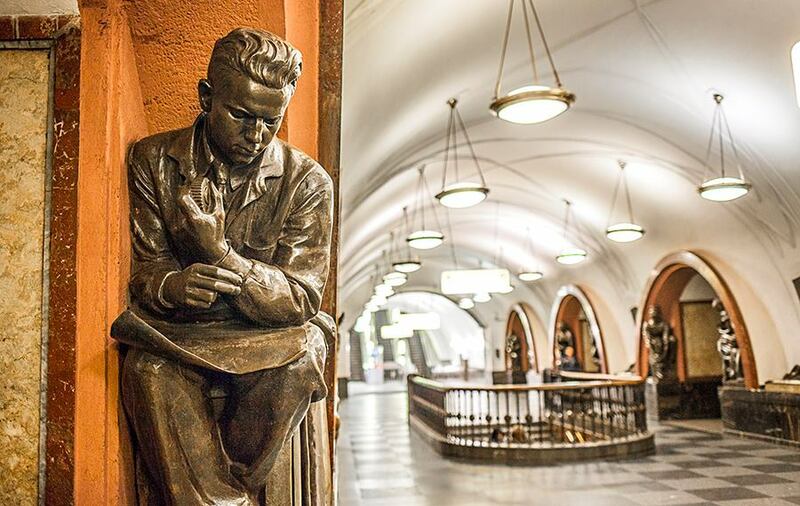 After lunch, continue your trip to the place where the famous Yuri Gagarin – the first Soviet cosmonaut – passed away. View the Memorial and small Chapel erected in his honor. 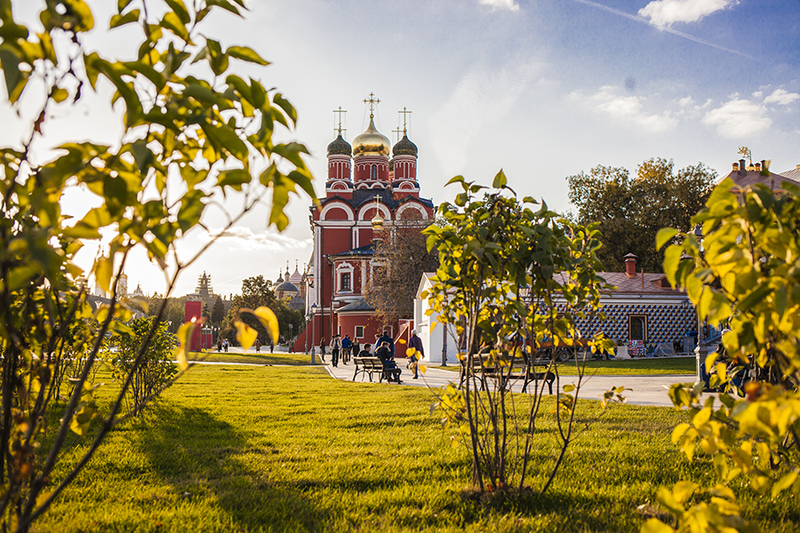 In the evening you will arrive at Vladimir – another ancient Golden Ring town, and UNESCO World Heritage site. 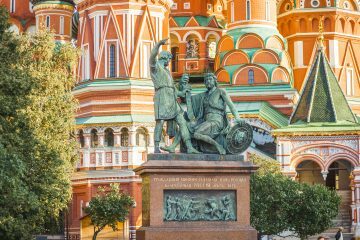 Explore this historic town on foot, and you can actually feel the spirit of being in medieval Russia! This morning travel to Suzdal. 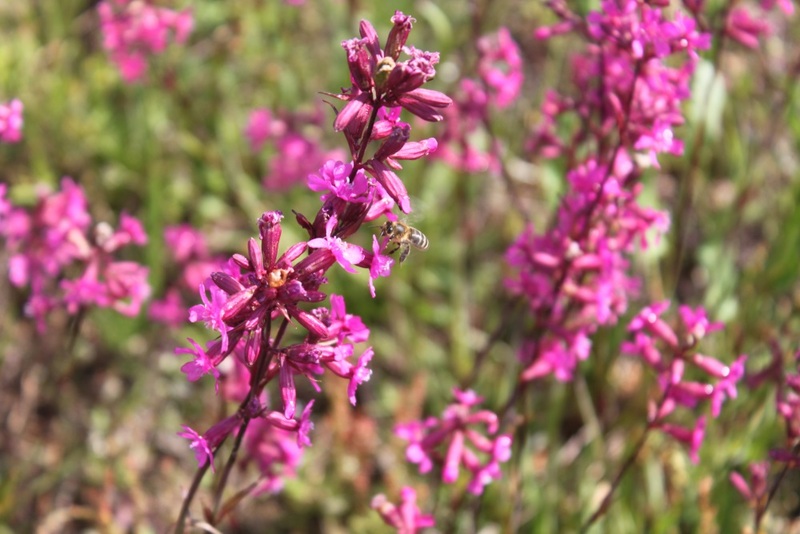 The town remains an ecological escape, accessible only by bus or car. It is full of small wooden houses set in a stunning and magnificent landscape. 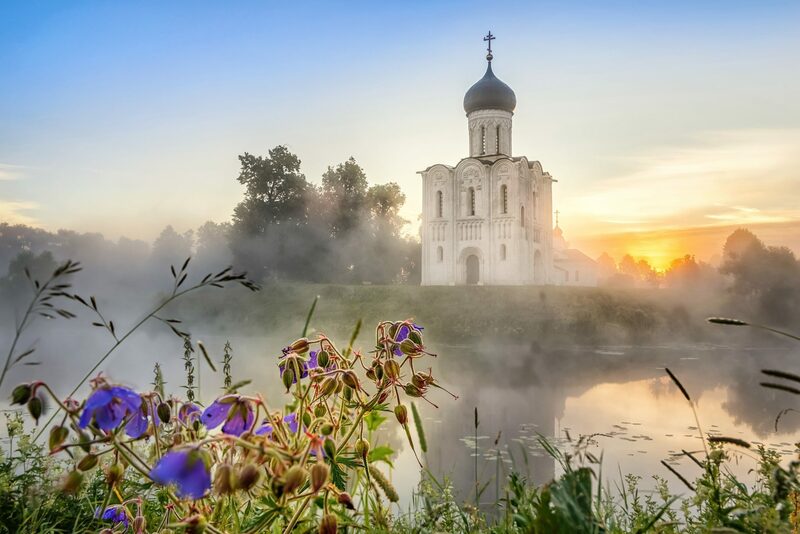 Suzdal is filled with a host of beautiful churches, monasteries, and convents. 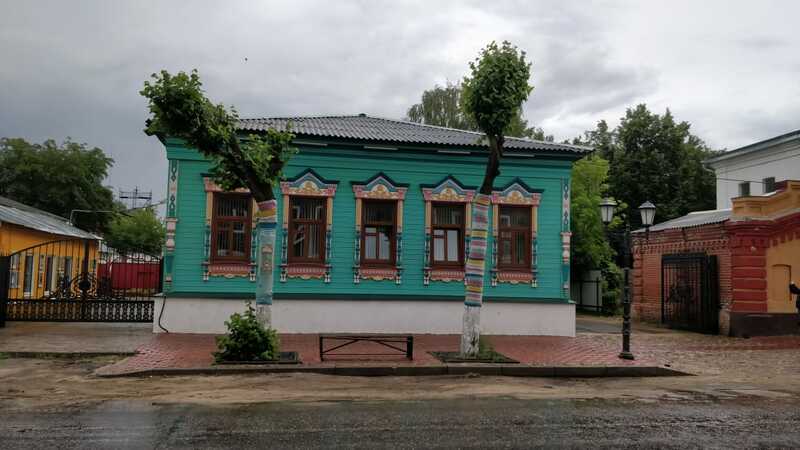 Take a tour of Suzdal’s Kremlin, which dates from the 10th century, and visit the Museum of Wooden Architecture (or Spafo-Efimievsky monastery). Then you can shop for souvenirs at the rows of trading stalls, and talk to the locals! After lunch depart to Moscow and check in to the hotel. Have some free time before check out.  Cycling route can be increased or decreased depending on the physical condition and/or Group’s wishes. 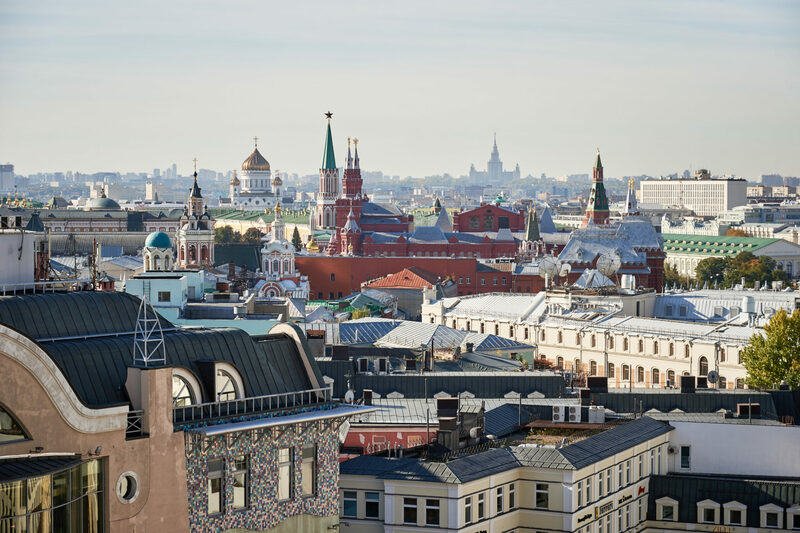  Price of extra nights in Moscow (before start /after finish the tour) for a room in our hotel is available on request.